I know I haven't been posting in a while, and most of my reviews are on growngaming.com now a days. Along with the summer gaming drought, my blog posts have been lacking. Though, if you are interested here are some of my reviews and previews I have done recently for GrownGaming. Now that the gaming season is in full swing all of my reviews for the latest games will be posted on GrownGaming's website. I will continue to post entries here on my blog, but they will be less frequent. I will not be able to review all the games I would like this season. So I decided to start a new section that might help with the lack of postings here. I want to do "Thoughts On" posts instead of a full review. 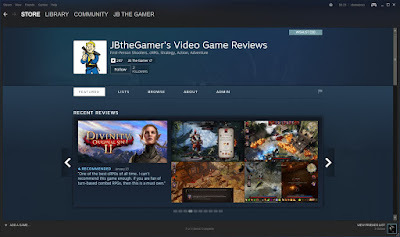 Of course I will still do full reviews here on my blog, but they will be less often as most of my reviews and previews will be posted on Grown Gaming. Best way to describe the "Thoughts On" posts would them being about my opinions of a game I am currently playing without any rating or grading system. I don't expect the posts to be long either. Maybe a few paragraphs at most. I'd like to try this out for the Fall Gaming Season and see how it goes. I know I pretty much stopped the "Games Under $30" posts. Hopefully this new section will replace them. In other news, I have finished building my cousins gaming computer. I will have a full post on here by the end of this month and will even update my Gaming PC website with pictures and specs. For now I have decided not to shutdown my Gaming PC website just yet. I know I posted before about moving that site here to my blog. But lately I have decided against that because of a few projects I have been working on. Well, it looks to be a very busy gaming season this year, so I best get to it. Till next time, keep on gaming.